In the December/January issue of Monocle Issue # 39 is one of my current shoots. We traveled north to shoot the Kenzo estate nestled in the Napa Valley. Kenzo Sujimoto a video games mogul and one of Japan's most successful business men is one of the founders of Capcom that spawned titles such as 'Streetfighter' and 'Resident Evil'. He was quite the character to shoot. Very gracious in that Japanese sort of way. When he laughed his smile was wide and his eyes almost disappeared. He was obviously enjoying his latest business venture. In the end the magazine went with the portrait of him with the wine glass but my favorite was the one below because it pretty much summed up his lighthearted persona. 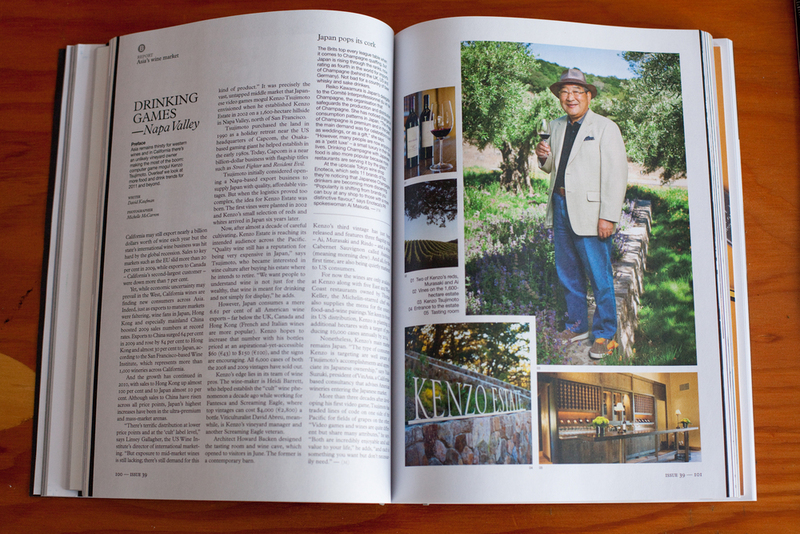 With a 1,600 hectare estate nestled in the Napa hills it was no wonder he was smiling.